Part of planning any kitchen or bathroom renovation involves the difficult choice of which countertop material to use. There are many factors to consider in making this choice, which can be daunting and overwhelming. Read on for some helpful information and you too can be on your way to building your perfect kitchen. 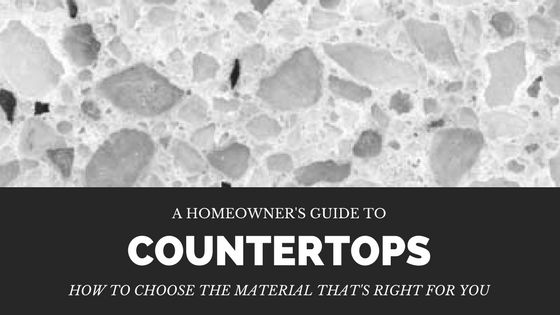 Material cost is on the top of everyone’s list when considering countertops. It varies considerably from one material to another. Let’s take a look at some of the more affordable options. Laminate and Tile countertops are both inexpensive, easy to install options. As you move towards the solid surfaces, the cost increases. Concrete is a cheaper material, but the install is labor-intensive, making the cost competitive with more expensive countertop materials. Granite and marble are generally between $60 and $80 per square foot. Quartz is a bit more at $60-$100 per square foot. Soapstone can run from $70-$120 per square foot. Surprisingly, concrete counters can range from $90 to as much as $130 per square foot. No matter how beautiful something is when it is brand new, if it can’t hold up to the pressures and messes of daily life then it isn’t worth it. Tile countertops are notorious for being difficult to keep clean due to the many grout lines that easily absorb staines from dirt and food. Sealers are available for surfaces like concrete, soapstone, limestone, or butcher-block counters, but the need to apply a sealer or mineral oil makes these tops more high maintenance, and sealers are not 100% guaranteed to protect against all stains, scratches, or heat. Laminate is surprisingly good at withstanding stains and scratches, and can even handle heat nicely. It is a very durable material for the cost. The all-stars of durable, low-maintenance counters are quartz and granite. They both survive stains, heat, and scratches extremely well. They each have the propensity to chip, but rounded edges can help prevent this. Granite does need periodic sealing, which quartz does not require. Stainless steel resists heat and stains with ease; however, it is very perceptible to scratches, dents, and fingerprint smudges – not the ideal choice for most homeowners. When it comes to beauty, soapstone and marble are two of the most popular choices. Though they come with a little maintenance, there is no doubt they are show-stopping choices for your kitchen. Other stone surfaces like granite and quartz are very popular choices. Some complain about the uniformity of quartz, a result of the fact that it is a man-made surface, but many manufacturers are learning ways to combat this and make quartz resemble more natural stone. When it comes to granite, most slabs have a good amount of variation in color and tone, but some, like pure black granite, can become a maintenance issue in regards to fingerprint smudges and water drips. If you don’t like wiping your counters constantly, go for a slab with more variety. For a modern look, recycled glass countertops are a great choice. They vary considerably in color and overall look depending on how big or small the shards of glass are. They are a great way to infuse color into your kitchen. 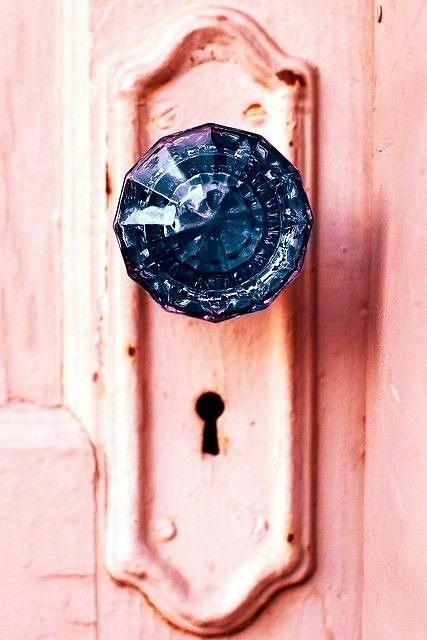 The bigger the shards, the more contemporary and colorful the look. For a more rustic, homey look, butcher-block and concrete are ideal choices. Butcher-block provides a warm feel to any kitchen, easy to work on, and very inviting. Concrete is perfectly imperfect. Using stains, you can vary the shade of your counters. They have a matte finish and give an overall no-fuss feel to your kitchen. With regular maintenance, they hold up well over time. Budget considerations are certainly important; however, the saying, “You get what you pay for” definitely applies to countertops. They are one of the first things people will see when they enter your kitchen, and they are also one of the most used parts of a kitchen. If you are going to skimp somewhere, you might want to pick somewhere else. When you hire a company, who really has access to your home? Many times we are asked the question, “If we hire you, who is going to be doing the work every day?” This question often stems from mistrust that homeowners have towards general contractors, most likely because of a former renovation experience that was negative. At times, clients have stated that random workers would show up at their home unannounced to complete a portion of their project forcing the homeowner to allow a stranger access to their personal possessions and families. To answer this question, most GC’s work with a crew of people that include employees and sub-contractors who take on certain aspects of a job. The specific jobs that a GC might sub out could include plumbing, electrical work, roofing, basement waterproofing, painting, etc. This is actually a great benefit to the homeowner since it allows the most qualified workers to complete each part of a job. Townships require permits for almost every project that is done, and to grant these permits, they require fully licensed and insured contractors and sub-contractors do the work. The electrical work you have done is being done by a certified electrician who has spent his entire career studying and completing electrical work, and who is fully licensed and insured in that area of home renovation. The same goes for plumbers or any other sub-contractors working on your project. They have all the necessary certifications, licenses, and insurances, along with many years of experience in specific aspects of renovation. GC’s sub out work like this in order to have the best people possible doing the job and to satisfy the Township. However, this fact doesn’t help the homeowner when the stranger arrives at your door asking for access to your home. So what should you do when you are looking for a contractor for your project in order to prevent this from happening? Make sure you ask the companies you are meeting with how many subs they usually use and how long they have been working with them. If a company doesn’t have a routine crew of subs that they have worked with for years, that could be a red flag for you. By contrast, if the company you hire has a crew that they use on every job who they trust and have worked alongside of for years, chances are those subs are just as reliable and knowledgeable as the company you have chosen to hire. Ultimately, a good GC understands that his sub-contractors are representing his company just as much as his own employees so they have a vested interest in working with the best, most trustworthy and reliable people possible. So, the next time you find yourself wondering who will be coming to your house to work, remember to ask how long your contractor has been working with his crew. This will give you a better idea as to the level of trust you can put in the company. Now is not the time to flip-flop with decisions. The longer you spend deciding what you want, the longer it will take for you to get what you want. Many homeowners don’t realize that some items take weeks to arrive on a job. If you put off a certain decision thinking, “they aren’t installing the sliding door yet, so we have time to decide,” you are probably cutting into the time that your contractor has allotted for that door to be ordered and shipped. He ends up looking like the bad guy when your project is put on hold and then nobody’s happy. We know how important each aspect of your renovation is to you. We aren’t telling you to rush into any decisions, but it’s important to make them in a timely manner. This example may be a bit extreme, but it is not uncommon for a homeowner to want to change things after they have been installed. This is YOUR project and you should be happy, no, ecstatic, with the end result. If that means you want a wall repainted or a different fixture installed then by all means, speak up! However, realize that this will eat into your schedule and budget. It is very important to work out all details of a project at the very beginning. This way, your contractor is able to build you into the schedule and make you the priority for the entirety of the renovation. If you add additional items to the scope of work, you are going to be extending the length of your project. Additionally, your contractor has likely already scheduled another job to begin once yours is over so additional work may result in your project being put on hold as he fulfills other obligations. We want you to feel appreciated and prioritized throughout your renovation, so please, don’t take on additional jobs! Make it clear upfront everything you would like to have done. If you decide you would like further renovations, we will treat it as a new job to ensure you are getting the best service for your money. Doing some of the work yourself may sound like a great idea, but it can turn costly when mistakes are made that require the efforts of your contractor to fix. 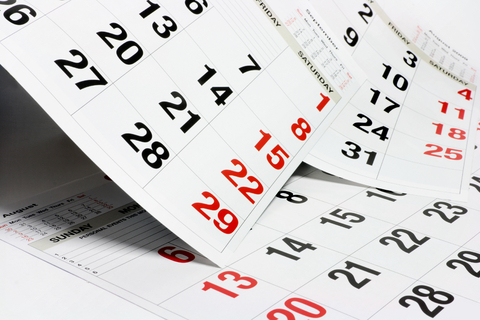 That not only increases the cost of a job, but it tacks on more time to the schedule as well. In the long run, painting some walls or demolishing some cabinets yourself doesn’t save that much money and adds an unnecessary amount of stress to your plate. Hiring your family, or even your own sub-contractors, to do a portion of the work will slow down your job. A big part of your GC’s job is scheduling his subs to all work together in a timely fashion so that there are as few hold ups as possible. When you take it upon yourself to hire your own subcontractors, they will most likely not fit into the proposed schedule, which tacks on time to your job as well as added stress on you. As scary as it can be, the best thing to do is to hand over your keys to a company you can trust, like C. Goodman Carpentry, and let them do what they do best.